BASKETBALL METEOR TRAINING #7 FIBA brown/cream Product not available in retail sales. Please register to see the wholesale prices. CEMENT DUMBBELLS METEOR Product not available in retail sales. Please register to see the wholesale prices. DUMBBELLS METEOR VINYL-METAL Product not available in retail sales. Please register to see the wholesale prices. GYMNASTIC BAG - 4 colors Product not available in retail sales. Please register to see the wholesale prices. HANDBALL METEOR NUAGE #1 Product not available in retail sales. Please register to see the wholesale prices. 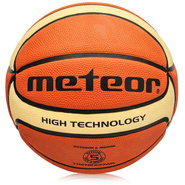 METEOR BASKETBALL BALL TRAINING #5 Product not available in retail sales. Please register to see the wholesale prices. METEOR DUOBALL EPP BLACK SERIES hardness 65° Product not available in retail sales. Please register to see the wholesale prices. METEOR EDEN QUAD SKATES Product not available in retail sales. Please register to see the wholesale prices. METEOR GYM GLOVES GRIP 15 Product not available in retail sales. Please register to see the wholesale prices. METEOR HEDGEHOG MASSAGE BALLS Product not available in retail sales. Please register to see the wholesale prices. METEOR LIGHTNING SET FLEX black Product not available in retail sales. Please register to see the wholesale prices. METEOR NEEDLES 8 mm IN BLISTER Product not available in retail sales. Please register to see the wholesale prices. METEOR SKIPPING ROPE Product not available in retail sales. Please register to see the wholesale prices. METEOR TRAVEL CUTERLY SET Product not available in retail sales. Please register to see the wholesale prices. 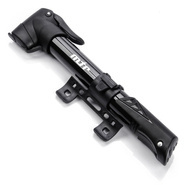 METROR BLOOM QUAD SKATES Product not available in retail sales. Please register to see the wholesale prices. MINI PUMP METEOR STROKE Product not available in retail sales. Please register to see the wholesale prices. SASH METEOR Product not available in retail sales. Please register to see the wholesale prices. SKIPPING ROPE METEOR 3 m WITH WOODEN HANDLES Product not available in retail sales. Please register to see the wholesale prices. 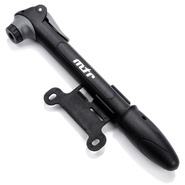 TELESCOPIC MINI PUMP METEOR X-TWIN Product not available in retail sales. Please register to see the wholesale prices. BIG TIP FOR NORDIC WALKING POLE Product not available in retail sales. Please register to see the wholesale prices.